Home Comics Behold… Agent Carter looking very “Where in the world is Carmen Sandiego?”! 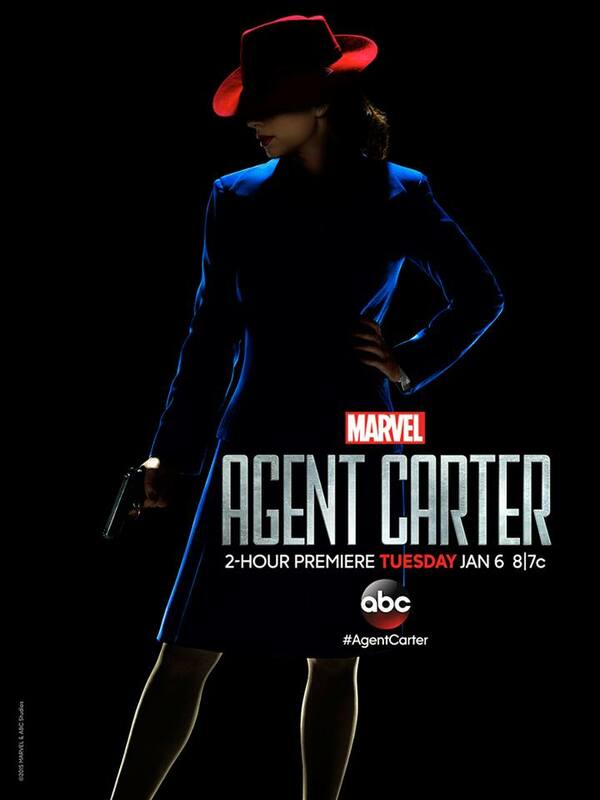 Behold… Agent Carter looking very “Where in the world is Carmen Sandiego?”! Now that Agents of S.H.I.E.L.D is in hiatus mode… It’s time to venture back into the past and see the adventures of one former SSR member and founder of S.H.I.E.L.D after World War II… Agent Peggy Carter! In a new poster released by Marvel and ABC, the love interest and “best gal” of Steve Rogers/ Captain America in his actual time before disappearing continues on with her life to make the world a better place. She joins forces with Howard Stark to found a “peace keeping organization” that will safe guard the world… But that doesn’t mean she has to keep her hands clean, and she’s fit for action and duty any day! Here’s a sneak peek of the action to come, with Hayley Atwell reprising her role as Peggy Carter! After Captain America: The First Avenger and the one-shot “Agent Carter” film with Iron Man 3… Agent Carter is ready to go on an adventure starting with a two hour premiere on ABC come January 6, 2015! Previous articleMajor Patch Update for Dragon Age Inquisition is LIVE!